This year, some of the most requested toys are based upon a tale as old as time. True as it can be, any child will be delighted to discover these Beauty and the Beast toys come Christmas morning. As certain as the sun rising in the east, JAKKS Pacific’s new line of Beauty and the Beast toys and role-play items will have every young fan singing a song as old as rhyme, Beauty and the Beast. 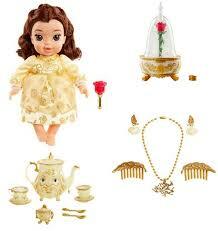 Ballroom Belle and the Enchanted Rose Jewelry Box are two of the most popular toys based on the new film. Bring the magic of the live-action movie Beauty and the Beast to your living room Christmas morning with the new Beauty and the Beast Ballroom Belle doll. Recommended for children aged 3 and up the Belle toddler doll measures around 14-inches tall and is dressed in a similar iconic yellow ball gown that Watson wears in the movie Beauty and the Beast. The yellow gown features metallic details on the bodice and the bottom of the skirt. The doll also wears sparkly translucent yellow shoes with heart cut-outs at the toes. Belle is even wearing her signature ‘tree of life’ pendant necklace from the movie. Belle features poseable head, arms and legs. All of the details on this doll are absolutely stunning. One of my personal favorites is the Enchanted Rose Jewelry Box. Everyone will be familiar with the iconic rose from the film and this cute jewellery box is a perfect replica. 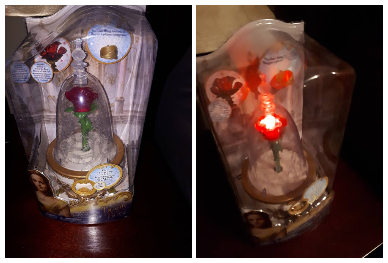 It has a small draw on the front to store jewellery and when you open it the enchanted rose will open, light up and play the Beauty and the Beast theme song. There is also a button on the front that you can press that will play the tune. My only complaint is that there is no volume control. Also the Enchanted Rose jewelry box storage compartment is rather small, so it doesn’t store much,. Nonetheless, it is a place holder for the included feather ring and the overall designed of this item is phenomenal. I secretly want one myself. Even my 27 year old daughter asked if I was gifting her one for Christmas. Also from Jakks Pacific comes the Beauty and the Beast Tea Set. This too is on my daughter’s wish list. Now your princess can have her very own enchanted tea party for two with Mrs. Potts & Chip! When she pours your tea Mrs. Potts eyes blink! Chip can wobble on his saucer, just like in the movie. This beautiful set includes: teapot with removable lid, sugar bowl, two spoons, cups and saucers. There are a few “must-serve” items when it comes to tea time. Don’t forget to serve some Squish-Dee-Lish cupcakes with your tea. Baby Belle is another cute product from Jakks Pacific and comes with a rose-shaped baby rattle. From her soft, flowing brown hair to her large, innocent eyes, everything about this doll is lovely. She is actually on my daughter’s wish list for Christmas. Both the toddler Belle doll and baby Belle doll are a nice size for young children to play with. In addition to toys, Jakks Pacific also carries Belle’s Ball Gown, inspired by the new live-action film. 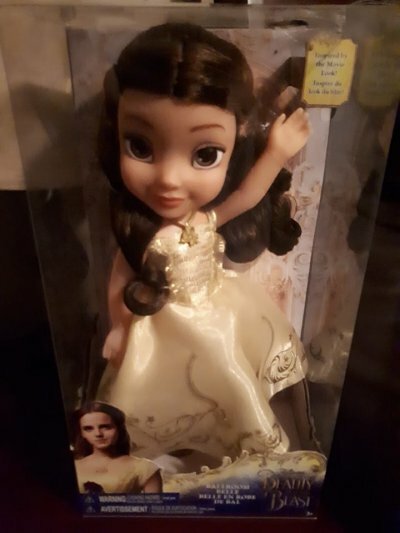 Whether the child in your life is having a Beauty and the Beast themed birthday party or they like to dress up and role play their favorite scenes from the movie, Belle’s Ball Gown will make the perfect gift. The dress fits sizes 4 to 6x. My daughter saw it while we were shopping at Toys R US and absolutely loves it. Complete Belle’s ballroom look with Belle’s Dress Up Accessory Set, featuring two feather hair combs with jeweled details, rose earring and a tree of life pendant necklace. Disney’s live-action Beauty and the Beast was one of the biggest movies of 2017. If you didn’t see the movie when it hit theaters in the spring, Beauty and the Beast is a live-action re-telling of the studio’s animated classic. The film featured a star-studded cast. Emma Watson played Belle and Dan Stevens inhabits the Beast. Kevin Kline appeared as Belle’s father, Maurice. Luke Evans was as fierce as Gaston while Josh Gad portrayed Gaston’s sidekick Le Fou. The film did a phenomenal job adapting the animated movie, and added in several new musical numbers. The original Disney classic was one of my favorite movies when my eldest daughter was growing up in the early 90’s. Fast forward 20 plus years and I am now happy to share both the classic and live-action Beauty and the Beast with my youngest daughter. My four year old is a huge Beauty and the Beast fan; she is always watching the film and Belle is without a doubt one of her favourite Disney princesses. If you haven’t seen the 2017 release yet then you owe it to yourself to watch it on Netflix. Trust me, you won’t regret it. 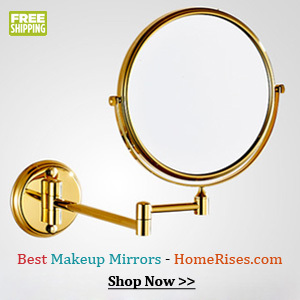 All the toys mentioned above are the perfect gift for any Beauty and the Beast fan. She’ll be ready to live out a tale as old as time when she opens any of these Beauty and the Beast inspired gifts from JAKKS Pacific. You can find Disney’s Beauty and the Beast toys by JAKKS Pacific at retailers everywhere. 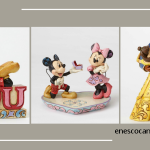 Which Beauty and the Beast toys are your favorites? 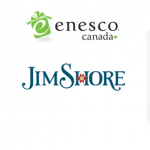 JAKKS Pacific, Inc. (NASDAQ: JAKK) is a leading designer, manufacturer and marketer of toys and consumer products. Headquarters in Santa Monica, California. 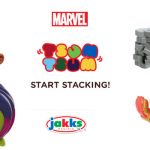 JAKKS Pacific’s popular proprietary brands include BIG-FIGS™, XPV®, Real Construction®, Max Tow™ and Friends, Disguise®, Moose Mountain®, Funnoodle®, Maui®, Kids Only!®, as well a wide range of entertainment-inspired products featuring premier licensed properties. 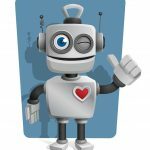 DreamPlay Toys, LLC is a joint venture between JAKKS and NantWorks LLC to develop, market and sell toys and related consumer products incorporating NantWorks’ proprietary iD™ recognition technology. 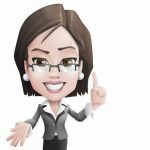 Through JAKKS Cares, the company’s commitment to philanthropy, JAKKS is helping to make a positive impact on the lives of children. 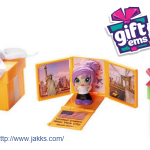 Visit us at www.jakks.com and follow us on Instagram (@jakkstoys), Twitter (@jakkstoys) and Facebook (JAKKS Pacific). 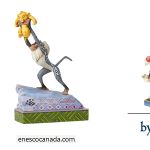 For those of you craving more Beauty and the Beast, you will want to check out the selection of toys available at Amazon.ca and Amazon.com. The Belle Dolls have such cute faces. A few of my granddaughters would love them as a gift. The Enchanted Rose jewelry box would definitely be my girls choice! OMG, I really love the The Enchanted Rose jewelry box! I want it for myself. Beauty and the Beast Tea Set will make the perfect gift for my granddaughter ! 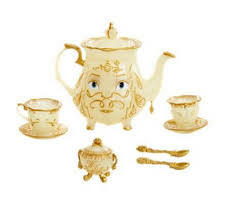 Beauty and the Beast Tea Set, I want that all to myself! 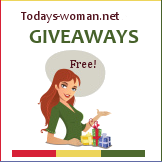 I love the The Enchanted Rose jewelry box, I would love to get that for my granddaughter!! Thanks i willing be checking out these items my granddaughter is a huge fan !